Every national park has a reason to warrant protection and conservation by the National Park Service. In the case of Terra Nova, it’s the long coastal shoreline of the deep cut, long “sounds,” or inlets where the water meets the boreal forest. These bodies of water are natural magnets for bird watchers. The other anomaly within the park it’s large, tall, dense forest, a rarity on “The Rock,” particularly along the harsh, salty, windy coastline which typically stunts tree growth. Evening walk around Newman Sound. I swear this color is untouched. Everything turned purple. One observation I have made about Canada National Parks, if I may generalize, is that they seem “inside out” from US National Parks. In the US, we tend to surround our parks with concessions, services, infrastructure, while defining and confining “nature” within the park boundaries. In most cases, you will find minimal services inside the park itself, but instead must travel outside the boundary for conveniences. In Newfoundland, it seems just the opposite. The national parks have really nice services and concessions in the core of the park. 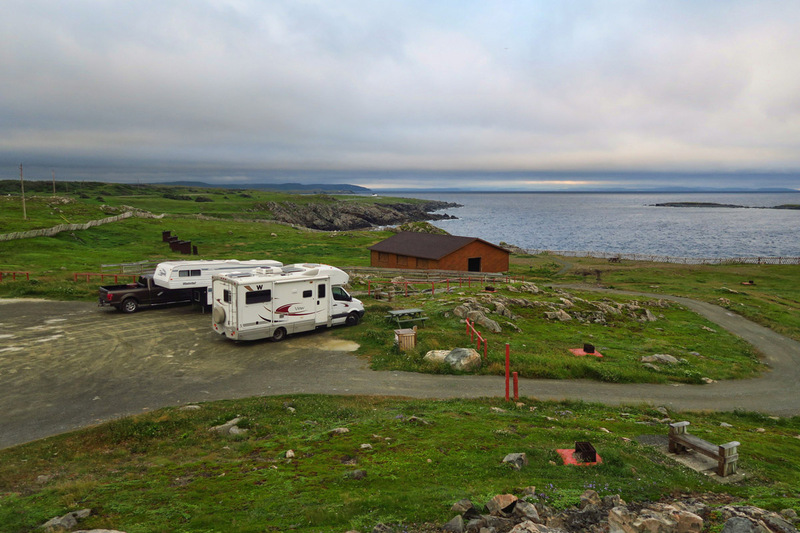 You will typically find campgrounds with wifi, laundromats, ice cream shops, tour companies, etc. in the heart of the park, but it’s difficult to tell where the park boundary ends, because “nature” just goes on and on for miles. 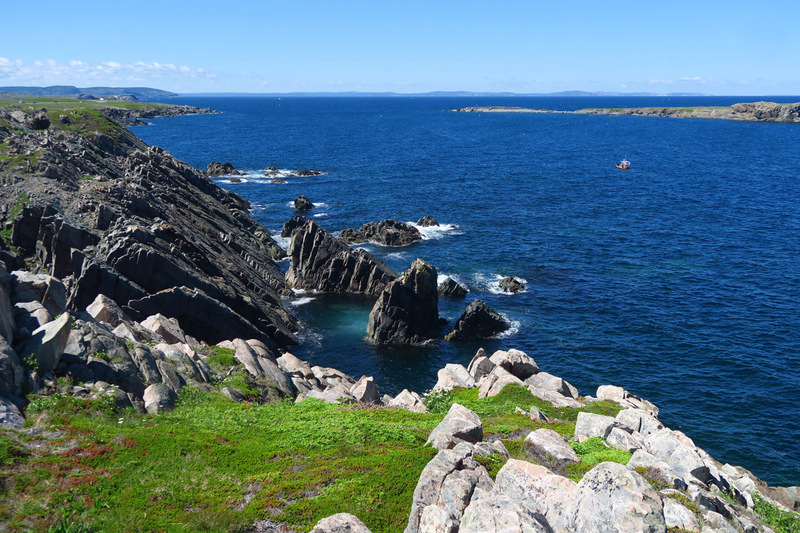 In fact, Newfoundland is like one giant national park! 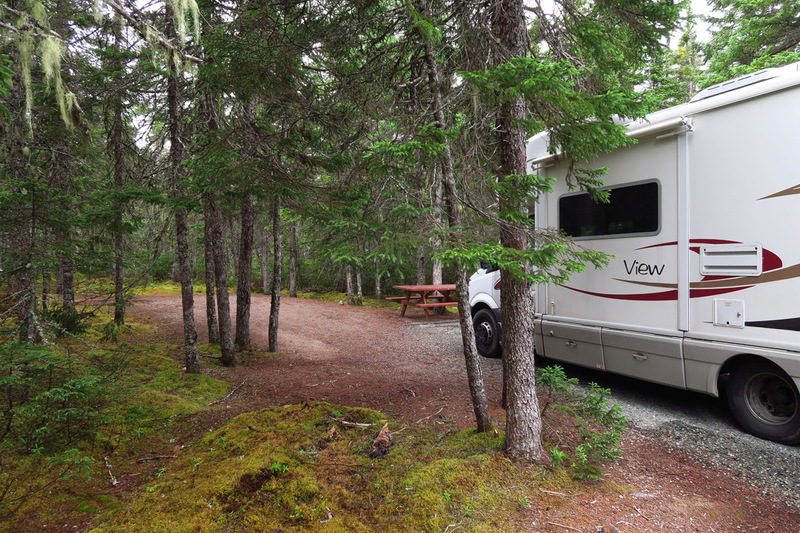 Newman Sound Campground within the park is a lovely family campground amidst dense, tall trees. Unlike Gros Morne which warranted three blog posts, that’s about all I have to say about Terra Nova, other than I did have a peaceful night sleep here with raindrops hitting the roof. Oh sure, one could spend days kayaking on the Sound and hiking in the forest, but those things I can do back in the USA…so I move on. Whale sightings along the road. The Winnie parked on the winding road. Maybe the only level spot in the cove. 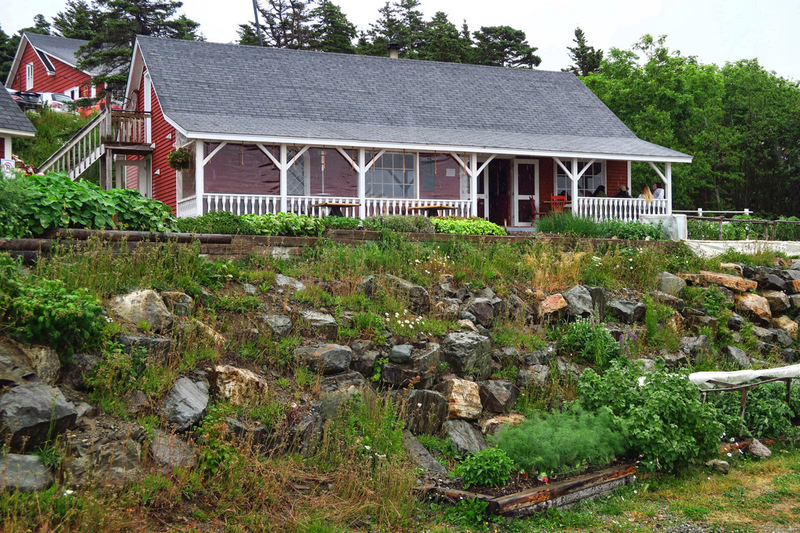 I leave Terra Nova bound for the Bonavista Peninsula. From everything I have read, this is one of the highlights of a trip to Newfoundland, and I am excited to get there! Everything I love…miles of rugged, craggy coastline pounded by deep blue surf, quaint little fishing villages, and a lot of opportunity for whale spotting. Never mind the lighthouse. 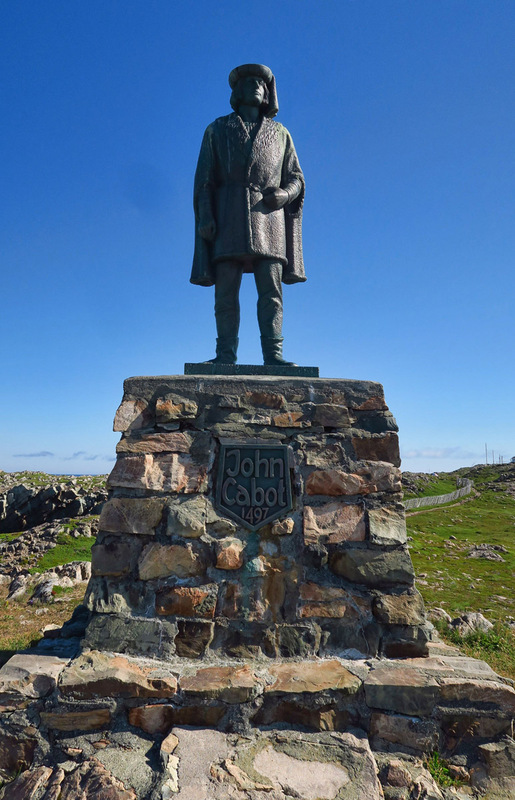 Though Leif Erikson was credited with “discovering” Labrador while Columbus got credit for the USA, it was John Cabot (a Venetian then known as Giovanni Caboto, seriously) who earned his piece of discovery pie when first landing on Newfoundland. 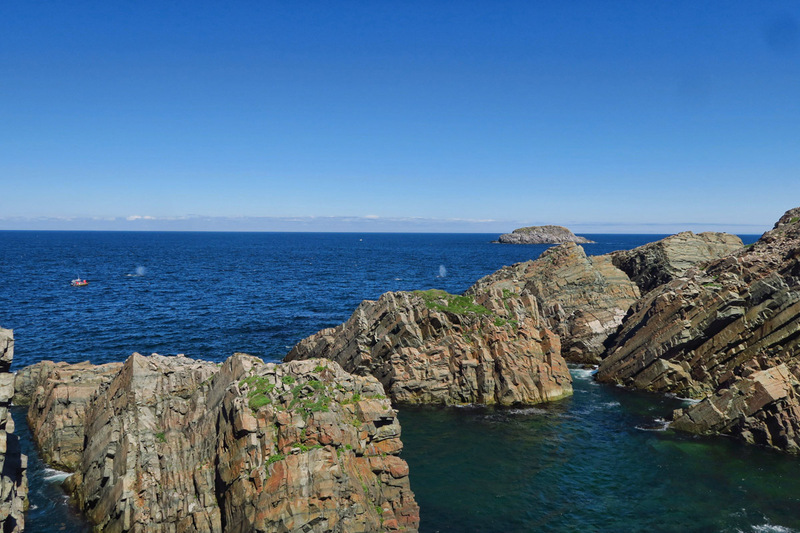 He was believed to have made landfall on the Bonavista peninsula in 1497 at which time he supposedly exclaimed, “O buono vista!” which translates to “Oh happy site!” It later became the cape’s namesake, Bonavista. Happy site indeed! It’s a drizzly, cold, damp, misty, moody morning when I leave Terra Nova to head up the western coast of the Bonavista Peninsula. Not the kind of day that I enjoy driving, but I really don’t want to be hemmed in the park with screaming, tent-bound kids on a rainy day. 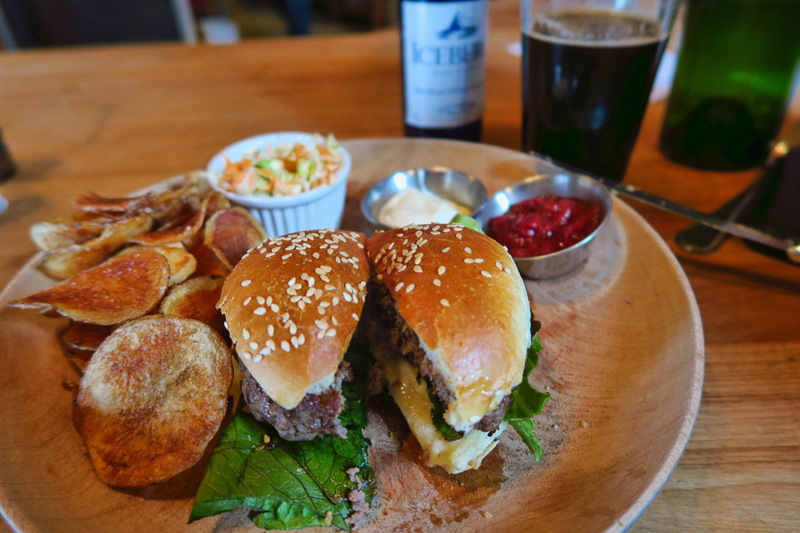 So I set the GPS for the Bonavista Social Club in Upper Amherst for a late lunch. With a name like that (a word-play on the famous Buena Vista Social Club Cuban musicians) I expect mostly hype, sorta like the Bora Bora Yacht Club which turned out to be a thatched hut. But this place is so busy, they gave up on taking reservations. So I am prepared for the wait. What else do I have to do on a cold, rainy afternoon? My lunchtime destination. 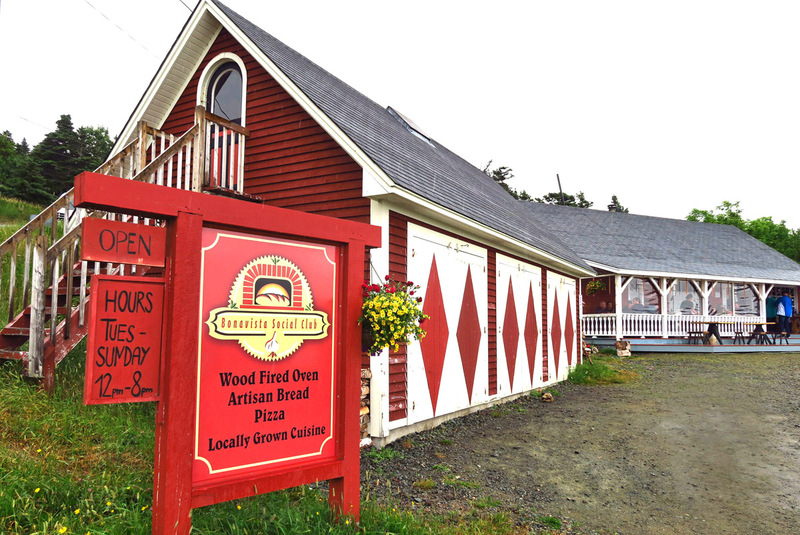 Wood-fired pizza is much less common than lighthouses in Newfoundland! They grow all their own greens on the property. This is just one of many areas of gardens. 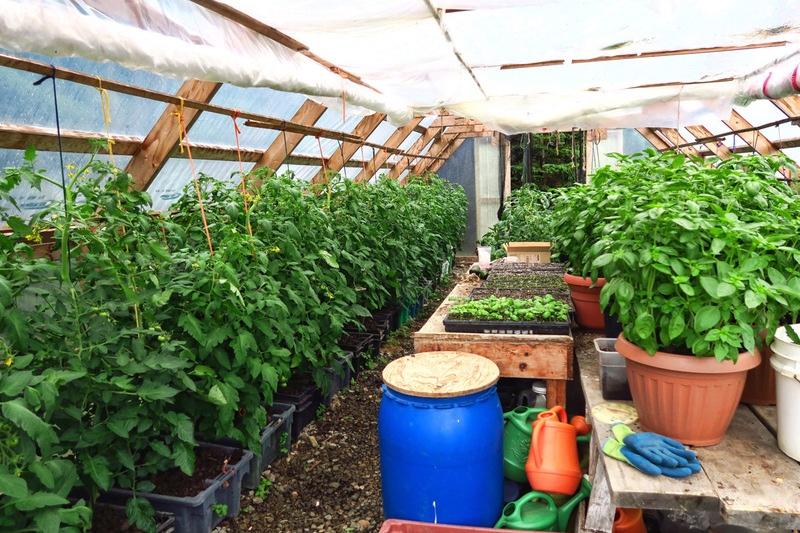 Growing hothouse tomatoes, another rarity in Newfoundland. I must set the stage first by saying it’s rare to find any kind of restaurant around the perimeter of Newfoundland (St. John’s being the exception) that serves anything but pan-fried cod. 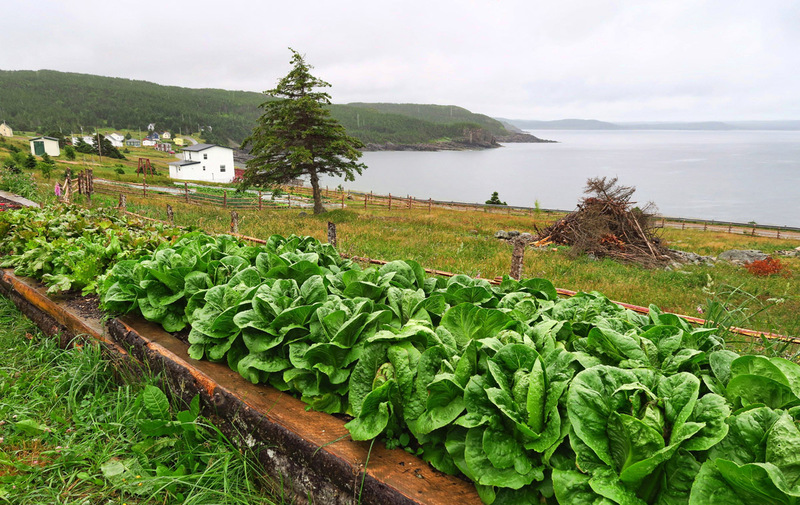 My food pyramid has all but collapsed while being in Newfoundland where “vegetables” consist of potatoes and carrots, and the closest you can come to “salad” is coleslaw. So a place famous for its wood fired pizza is an honest to goodness tourist attraction! It’s so cozy inside, especially on a cold, rainy gray day. 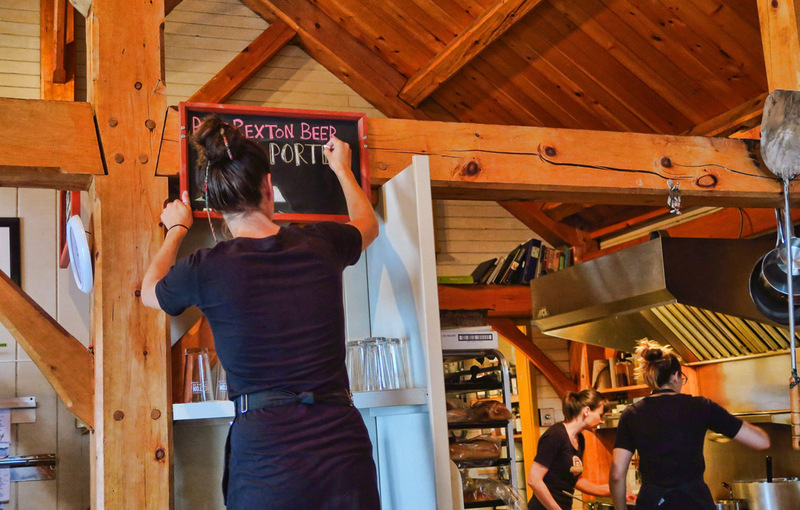 Just tapped the keg on some Port Rexton T-Rex Porter. 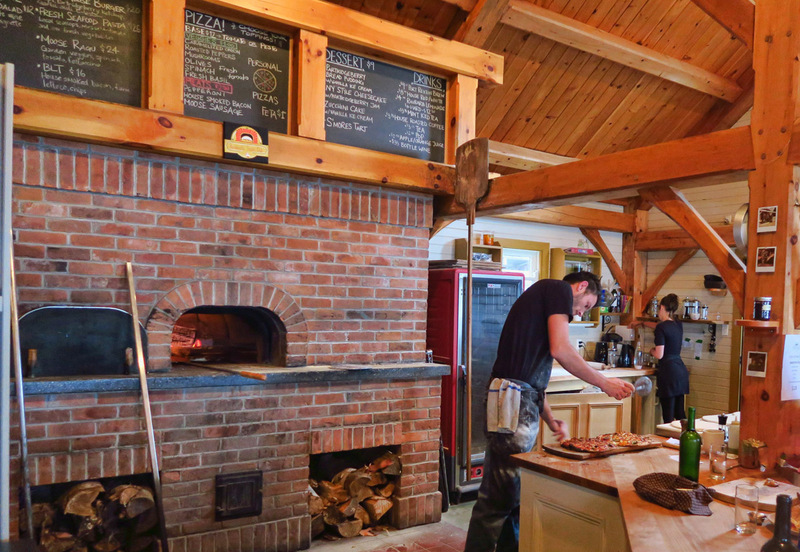 What does one order when they are at a restaurant famous for wood-fired pizza? Why a Mooseburger, of course! 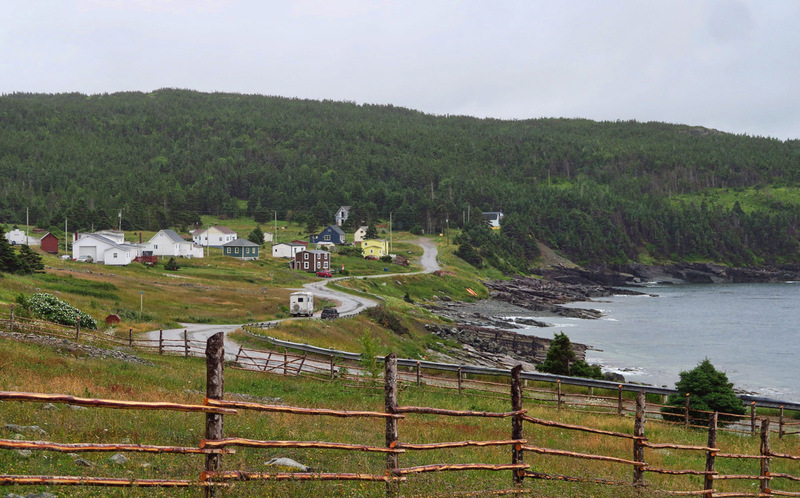 Continuing on north, I reach the town of Bonavista, larger and livelier than I had anticipated. 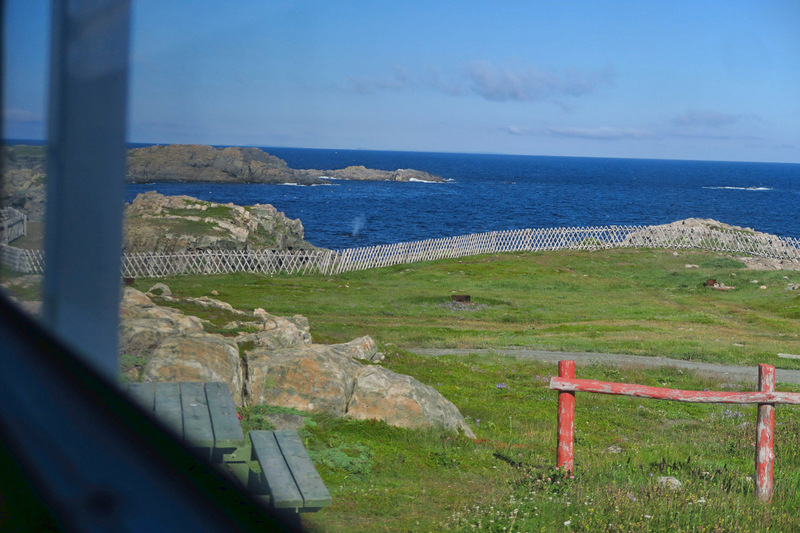 It’s getting late in the evening, so I drive on out to Cape Bonavista, the site of the Cape Bonavista Lighthouse. There are actually two lighthouses in this site..well, one lighthouse and one “lightstation” as they are now officially called. 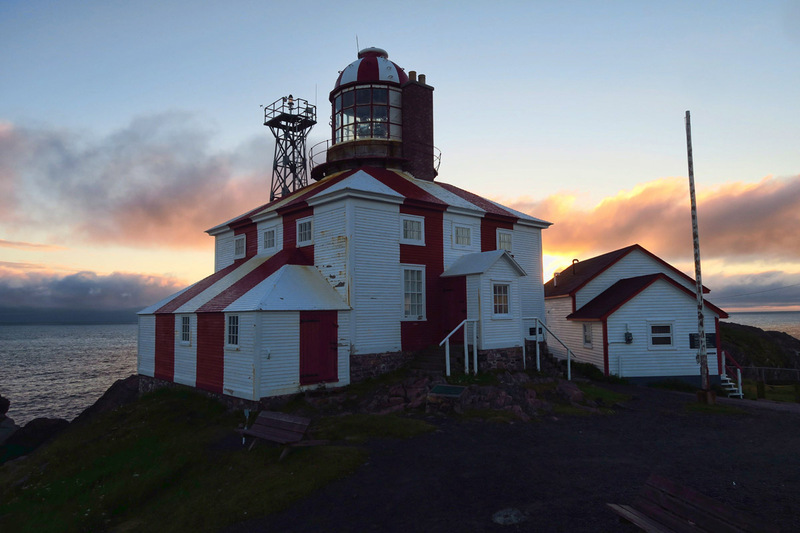 The original Cape Bonavista Lighthouse, built in 1870, is now a National Historic Site, while the current lightstation sits on a tower just behind the historical structure. 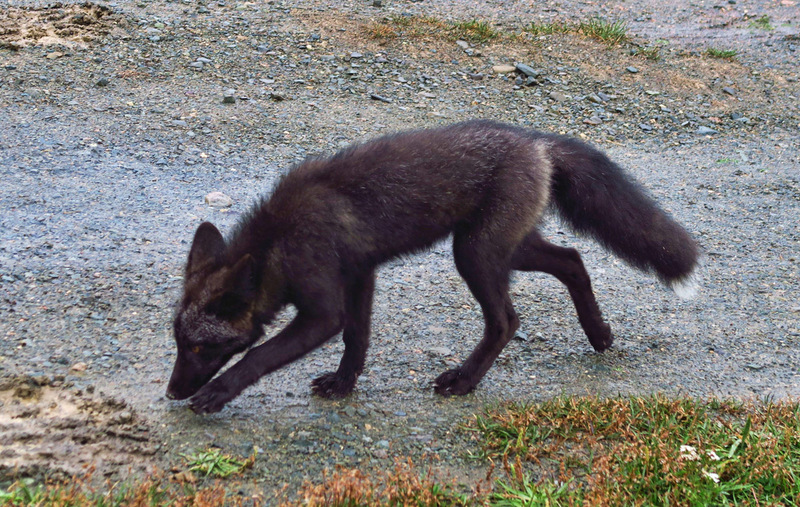 Arctic Fox at my boondock spot. HEY! Get away from there! No peeing on my tires! 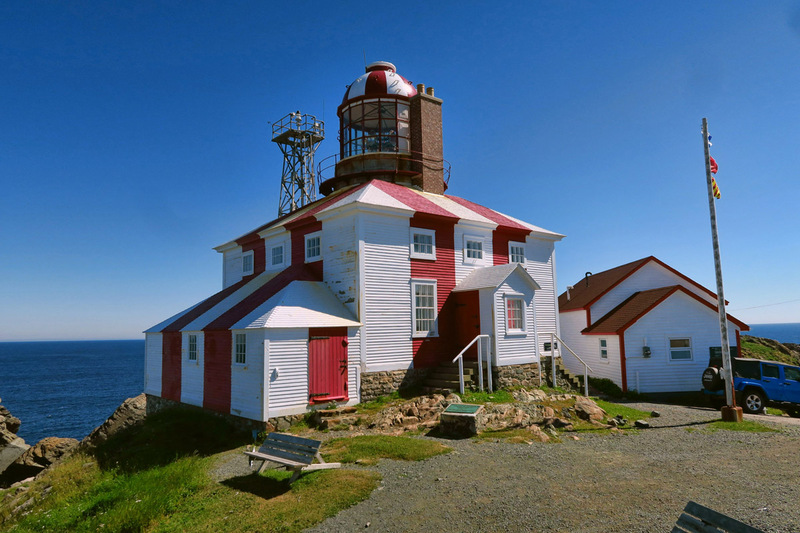 The Cape Bonavista lighthouse is the last remaining place in Eastern Canada where you can see an example of a catoptric light. Using bowl-shaped (parabolic) reflectors with a highly polished silver surface, light from the seal oil lamp was reflected out to sea. The “bowls” were turned by a weight-driven clockwork mechanism that had to be rewound every two hours. The lamps used an average of 650 gallons of seal oil every year, until the switch was made to kerosene in 1895. 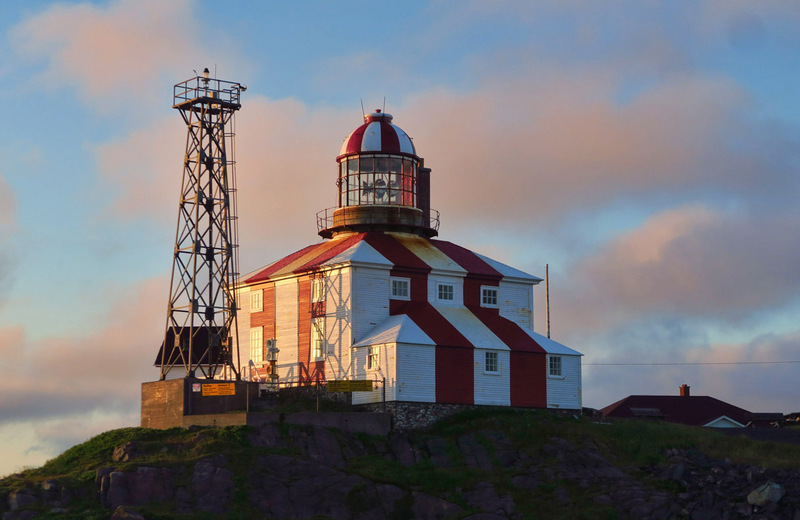 At this time, Cape Bonavista got a “used” light from the Isle of May lighthouse in Scotland. It remained in service until 1962. Cape Bonavista Lighthouse, in operation from 1843 to 1962. It was too foggy for a good photo the evening I arrived, so I boondocked nearby to see if I had better luck the next morning. It’s a beautiful morning! Why don’t I get up to see the sunrise more often? Because it comes up at 5:30am here, that’s why! Morning atop the Cape. 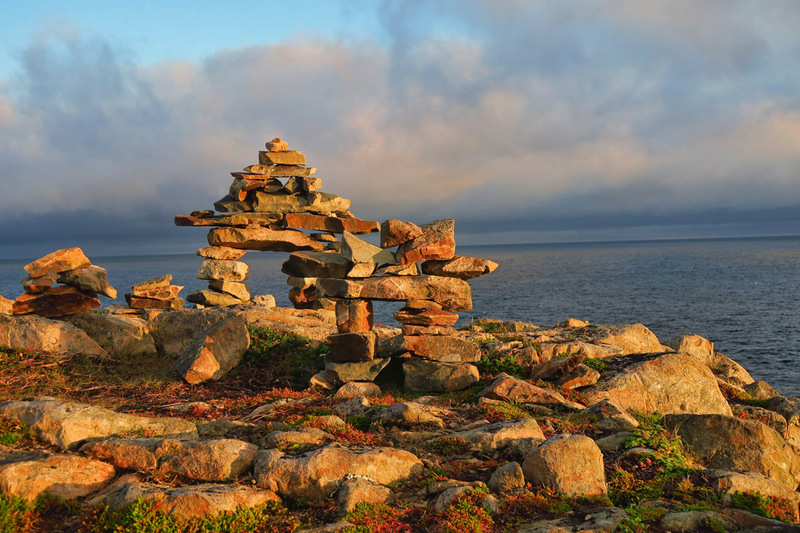 Not your typical cairns, but rather replicating an “inuksuk” a stone landmark used by the Inuit, found across the Arctic from Alaska to Greenland. Another artic fox. 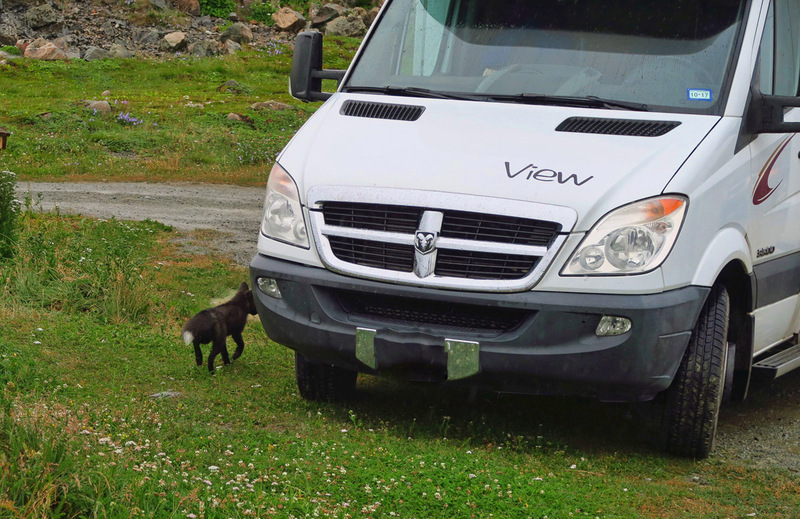 There are four that live on Cape Bonavista, obviously used to being hit on by the tourists. The entire cape is socked in when I arrive. I can see the image of the lighthouse, but the best photos I could hope for would be a fuzzy outline in grayscale. I have seen in the Escapees Days End directory (thanks, Chris!) that there is a good boondocking site nearby. 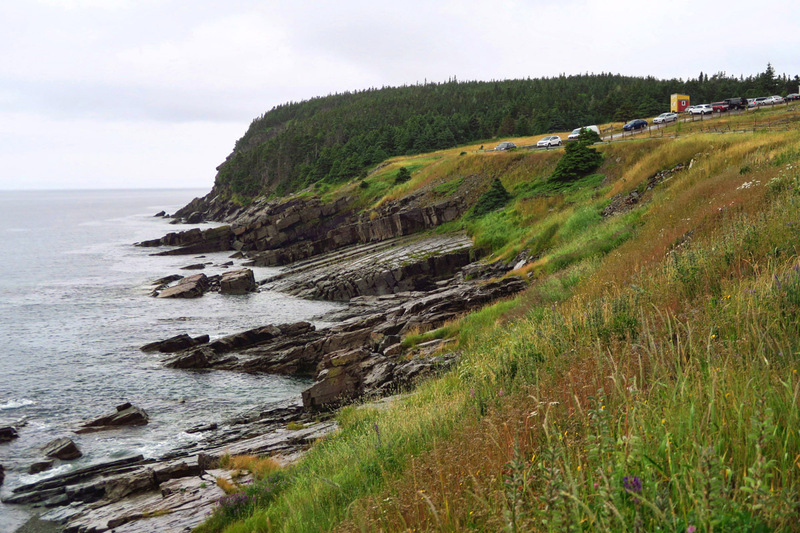 Although “camping” is not typically allowed at the National Historic site, just outside the grounds there is a small municipal park on the cliffs edge overlooking a cove. 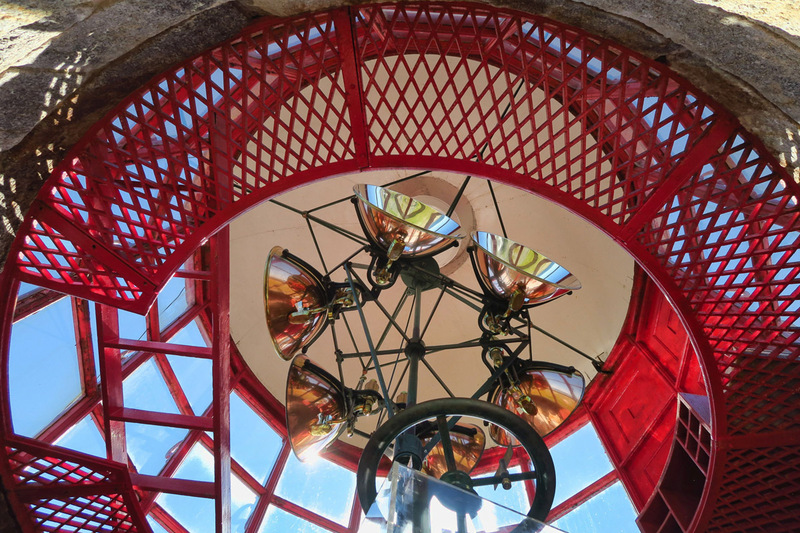 Looking up at the original catoptric light, bowl-shaped reflectors, each placed behind an Argand lamp burning seal oil. 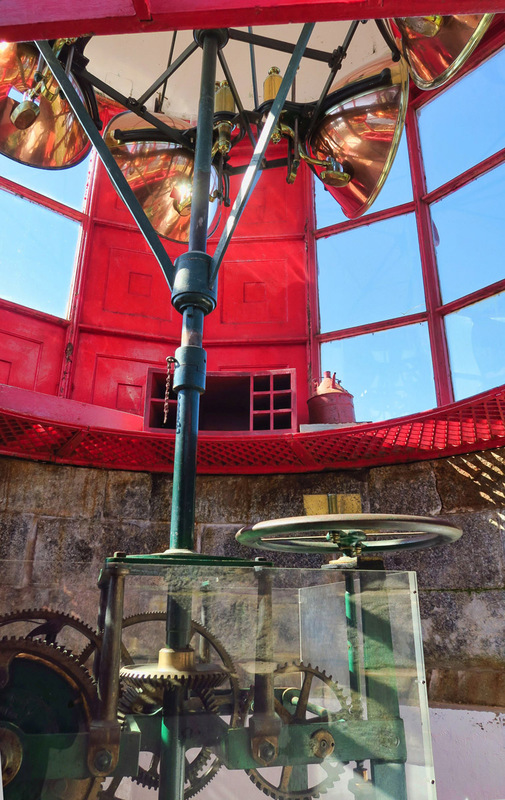 The lighthouse is a steel tower, surrounded by wooden lightkeepers house. It has been restored to 1870’s period. 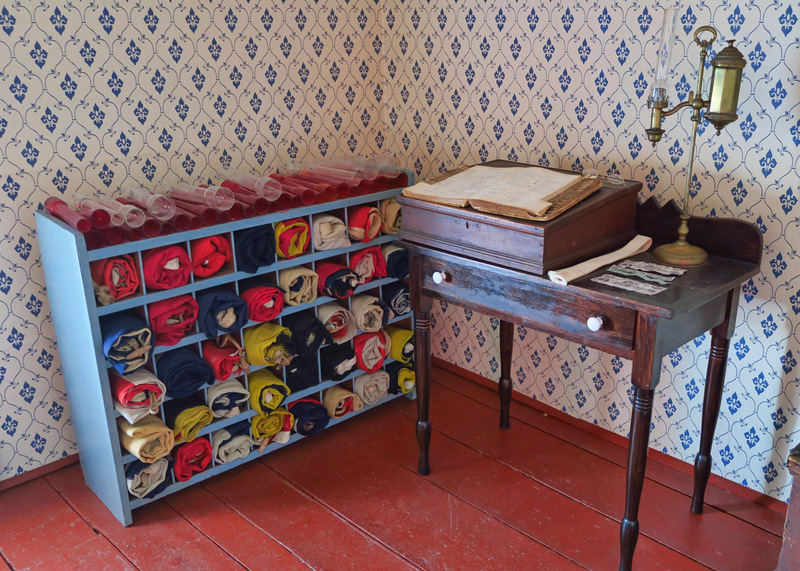 Signal flags were also used in the original lighthouse. 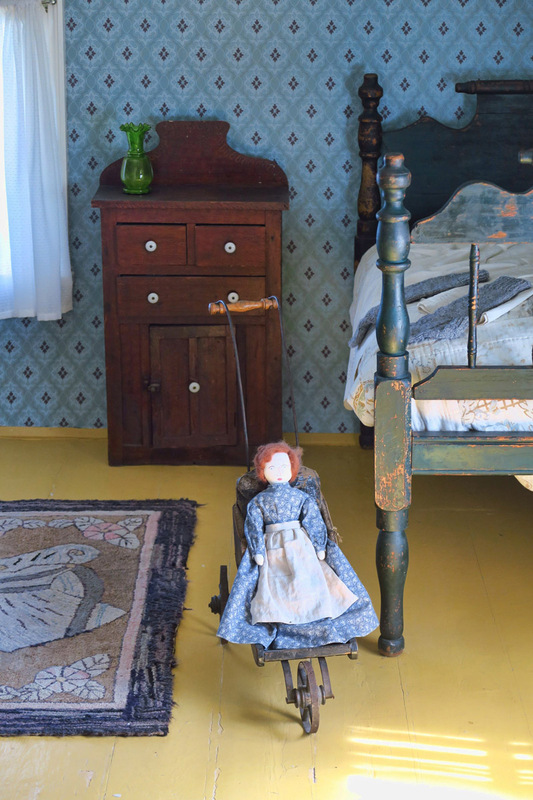 I love this wheelbarrow-style doll cart! 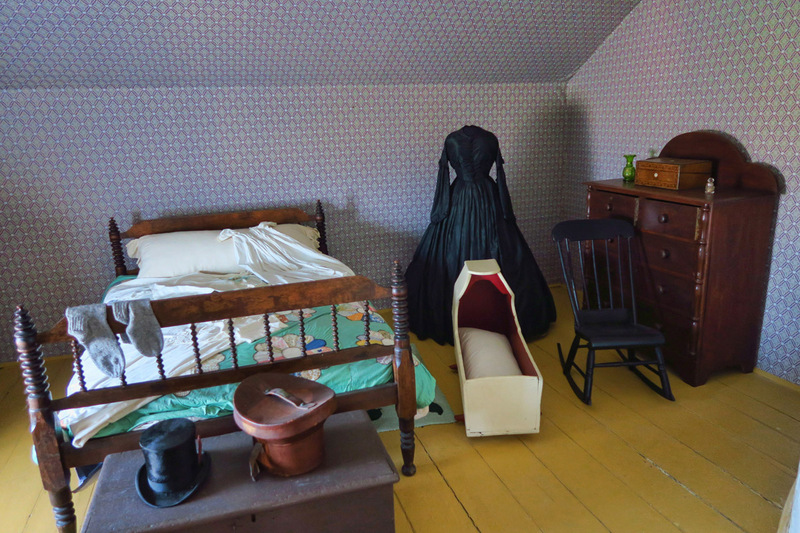 Our docent on the tour tells us Queen Victoria was the first to make the “little black dress” trendy. This is Glenn. He is the official Coast Guard lightkeeper today. 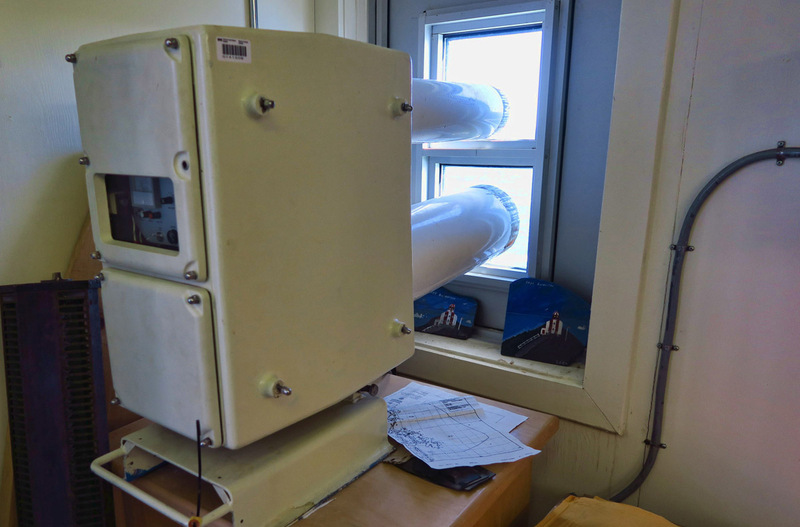 He gives me a tour of his “office,” and tells some interesting stories about being the lightkeeper here in the winter. 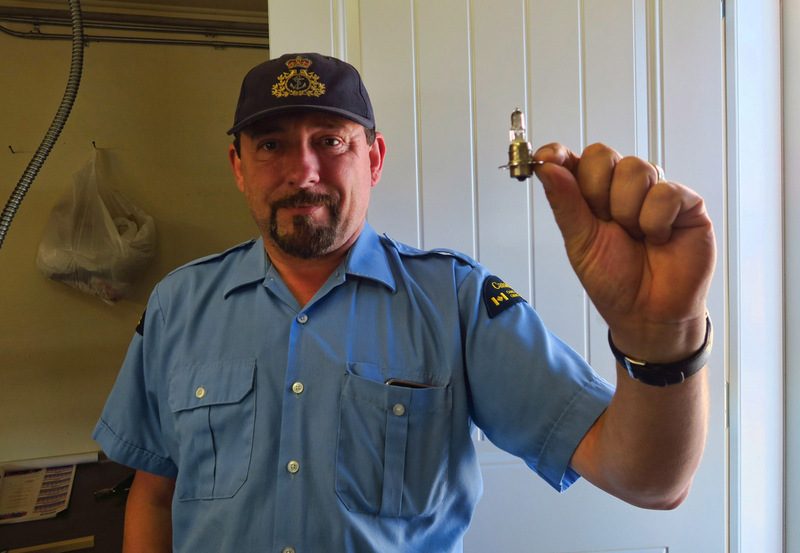 This is the bulb that now powers the current lightstation. This is the automated fog signal. It sends a lazer beam out, and depending on how long it takes to return due to the density of the fog, it activates the foghorn. Glenn’s office is in the little building to the right. 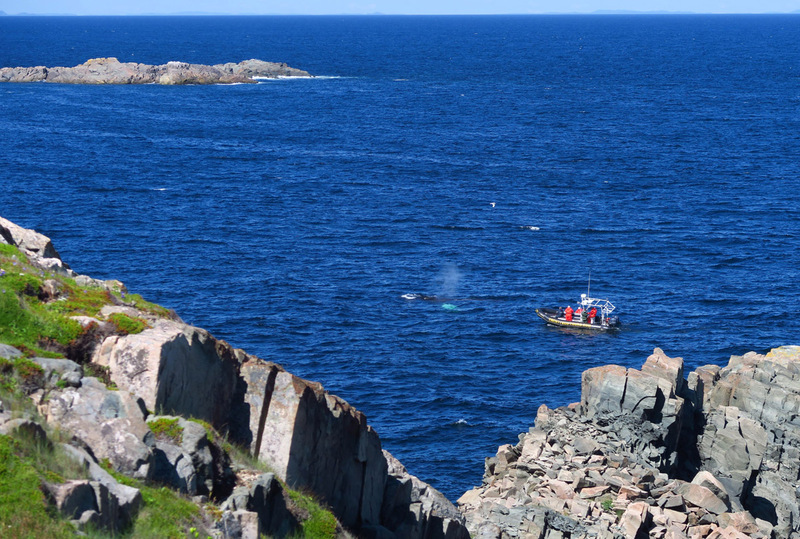 He tells me he’s got the best view of any office in Newfoundland, and I reckon he’s right! I find a spot with a view of the cove, and sit watching whale spouts out my window until the curtain of darkness comes down on the show. There are at least six humpbacks that I count in different positions at the same time. Who needs a whale watching boat when you have an RV?? This is my view, counting whale spouts out my bedroom window. Sharing my boondock view with John Cabot, believed to have made landfall here in 1497. 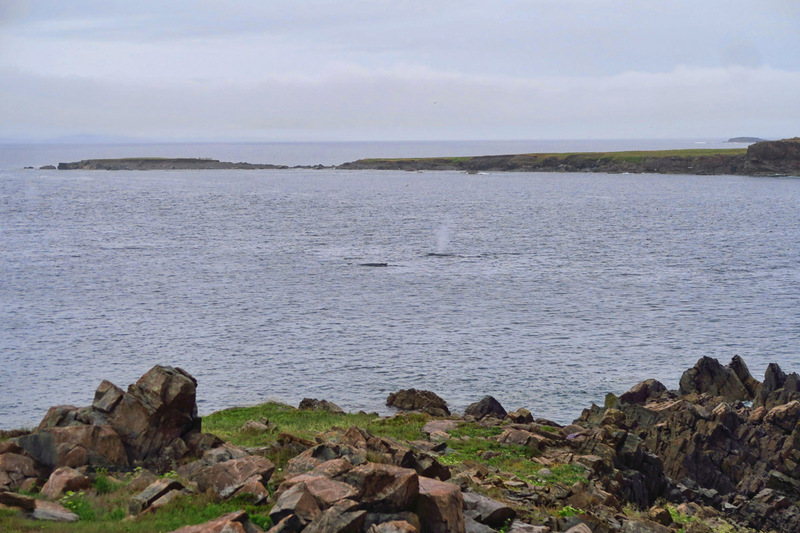 Two whale spouts just off the shore. Whale-watching boat. Water is so clear here, you can see the white parts of the whale beneath the surface. It’s a five mile scenic drive out to the cape, and cars are parked all along the road watching the whales. Although I can no longer see the whales after nightfall, I can hear their husky, forceful exhale as they break the surface. 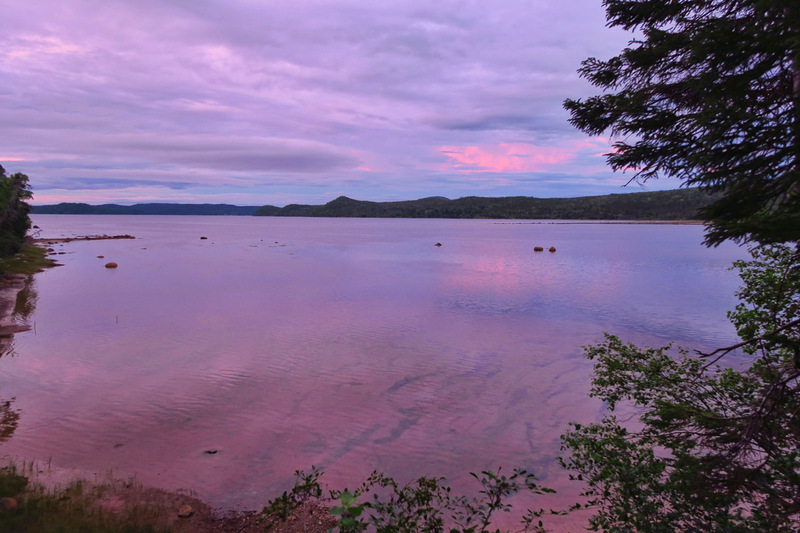 This leads on into one of the most magical nights I’ve experienced yet…..falling asleep while listening to whales breathe in the cove beneath my bedroom window…Priceless! 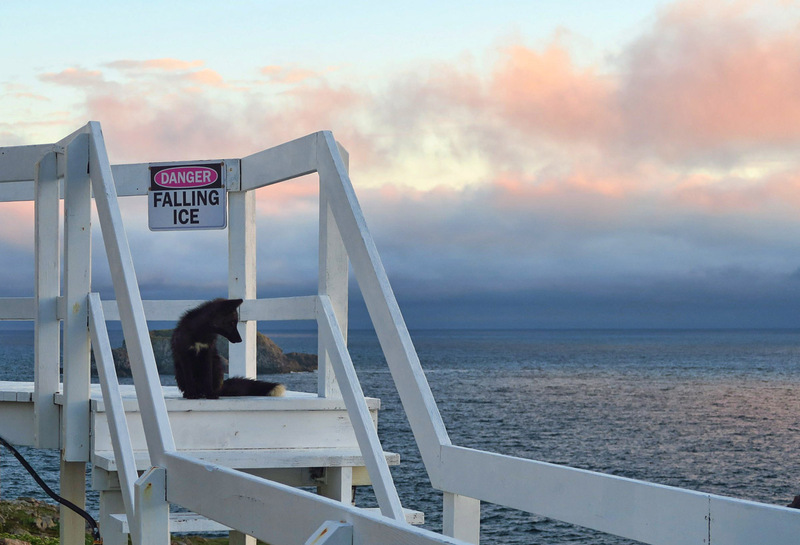 This entry was posted in Canada, Newfoundland and tagged Bonavista Social Club, Cape Bonavista Lighthouse, John Cabot by Suzanne. Bookmark the permalink. Wow! These memories will stick with you for the rest of your life. This is a terrific post and since you followed along our path just a few days behind us it is really fun to see how different the same places are. Marti and I are so happy we did finally connect with you if even for just two days. Here’s to our reunion soon in the States! Wow!! What an amazing way to fall asleep:) Lucky, lucky you!! Love that adorable arctic fox! This is a dream trip for you! 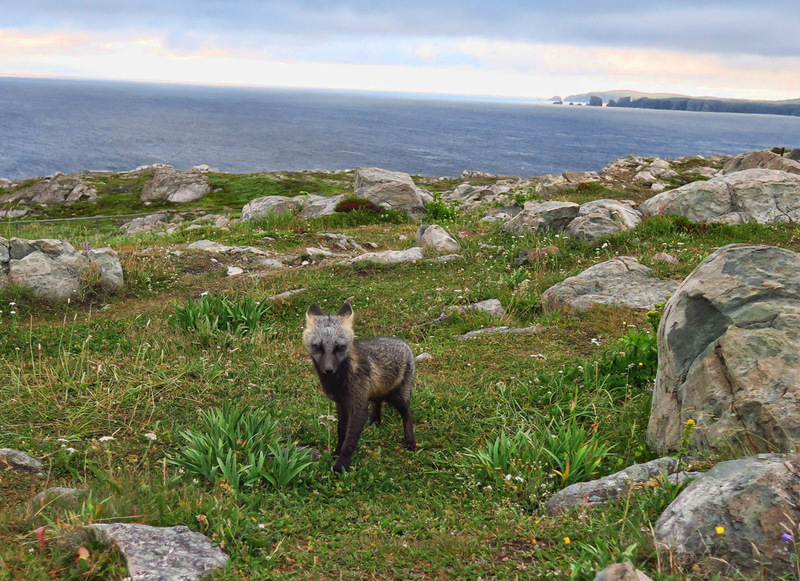 Arctic foxes, whales, unusual lighthouses…What a summer you are having! I bet you are really grateful you chose to make the trip! Amazing to see foxes and fall asleep to whales! Love your posts!!! The couple we met in a B&B in Maine told us that if we liked Alaska we would love Newfoundland. Your journey, pictures and beautiful text have convinced us that if I can keep out of the hospital we shall spend a few months next summer exploring that awesome island with your trip as our guide. Thanks for the inspiration. Allen, I am going to hold “keeping out of the hospital” in consciousness for you and Deede both!